Pneumonia Awareness Week is 7-13 May and encourages all Australians, especially those in high risk groups, to Know Pneumonia and address complacency. 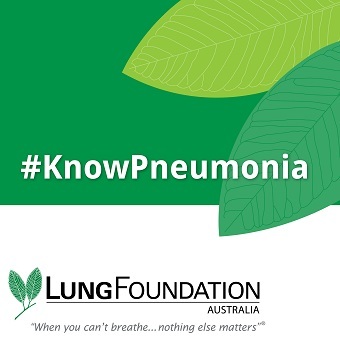 To help raise awareness amongst your patients and to find out about who is at risk, symptoms and prevention visit Lung Foundation Australia’s website where you can download and print resources such as the Know Pneumonia Infographic for display in your practice. For more information visit www.lungfoundation.com.au/pneumonia or phone freecall 1800 654 301.